Made of 80% natural granite, BLANCO SILGRANIT<sup></sup> combines the textural beauty of nature with unmatched strength and durability. High quality acrylic bonds the material giving the sink an unsurpassed hardness and scratch resistance. Ultra-resistant to chipping and staining, and a heat resistance of up to 280 C - it is no wonder that BLANCO SILGRANIT<sup></sup> has become Canada's leading colour-sink brand. This 1.75 bowl undermount sink from BLANCO is made of 80% natural granite. The enormous main bowl accommodates bulky items, and rear positioned drain holes maximize usable bowl and cabinet storage space. 3-1/2" stainless steel strainers are included. 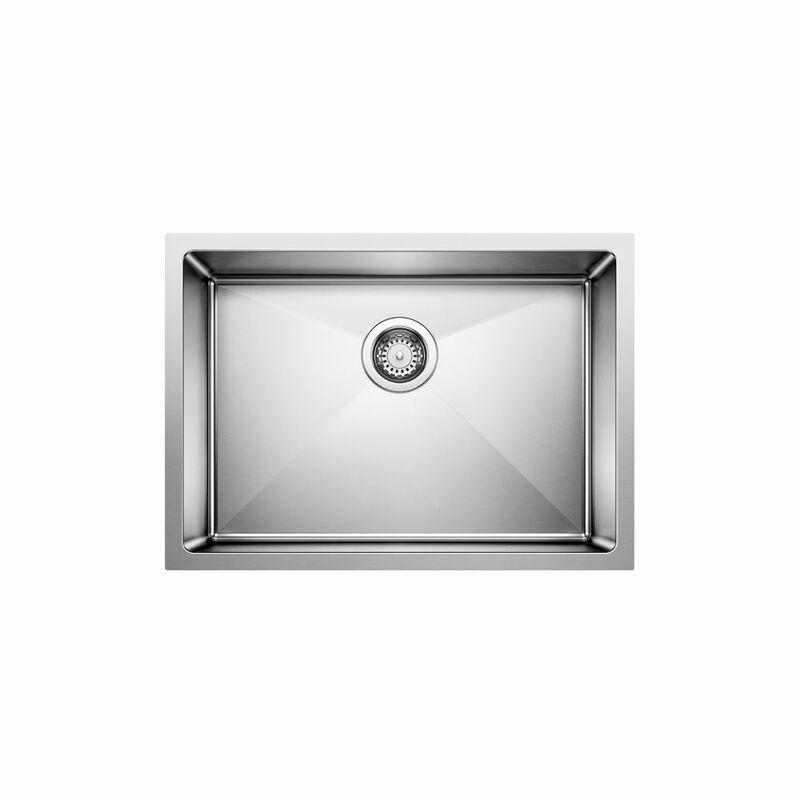 Quatrus R15 U1 Med, Stainless Steel Sink, Single Bowl 9 In., Undermount Designed in Germany to Blanco's exacting standards of performance and quality. The BLANCO QUATRUS family offers traditional quality as well as many signature BLANCO features at an exceptional price.